For product name, use IOSRequestPermissionTutorial and then fill out the Organization Name and Organization Identifier with your customary values. Enter Swift as Language and choose Next. Go to the Storyboard. Drag a button to the main view. 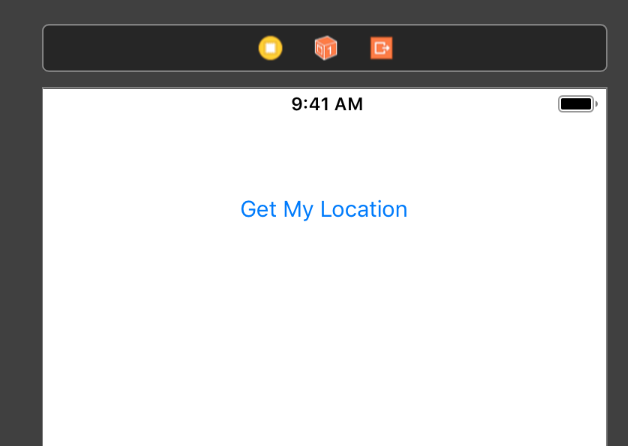 Double-click the button and change the title to "Get Location". The Storyboard will look like this. Open the Assistant Editor and make sure the ViewController.swift file is visible. Ctrl and drag from the Button to the ViewController class to create the following Action. Go to the ViewController.swift file and add the following line to import the CoreLocation framework. The CLLocationManager is the object that will give you the GPS coordinates. Next, implement the getLocation(_:) method. The authorizationStatus returns the current authorisation status. 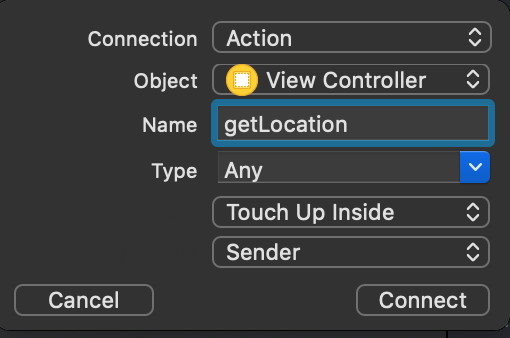 Send location updates to the delegate, which is the View Controller. Next, implement the CLLocationManager delegate methods. The current location is printed to the console. An Error is generated and displayed when the location can't get updated. To enable the permissions for location updates while the app is running a special key is needed. Open info.plist. Right-click and select Add Row. Enter the following Values. Turn on the Location Arrow in the console and select a predefined location. The current location gps coordinates will be displayed on the console. You can download the source code of the IOSRequestPermissionTutorial at the ioscreator repository on Github.